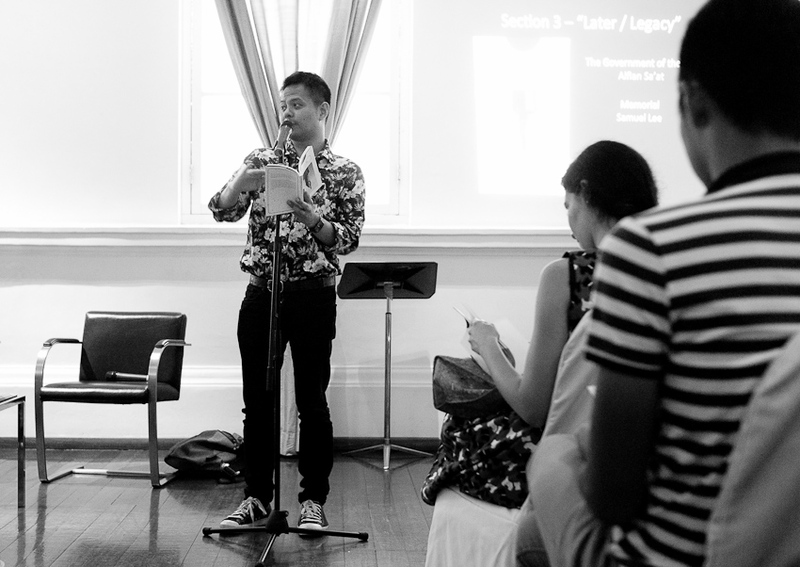 Last Sunday, two impressive poetry anthologies, A Luxury We Cannot Afford (edited by Christine Chia & Joshua Ip) and SingPoWriMo: The Anthology (edited by Ann Ang, Pooja Nansi & Joshua Ip) were launched by Math Paper Press at the Arts House. ALWCA is a poetic response to the myths and narratives that loom large around ‘he who cannot be named’. It is part homage, critique, analysis, rant, fiction, representation, exploration, examination and antidote to The Man. Despite my poetic disabilities, I have a small prose poem on page 96 of ALWCA. As a predominantly prose writer I am a lurker on SingPoWriMo but I do enjoy the energy and enthusiasm, challenge and chutzpah of this grassroots movement. 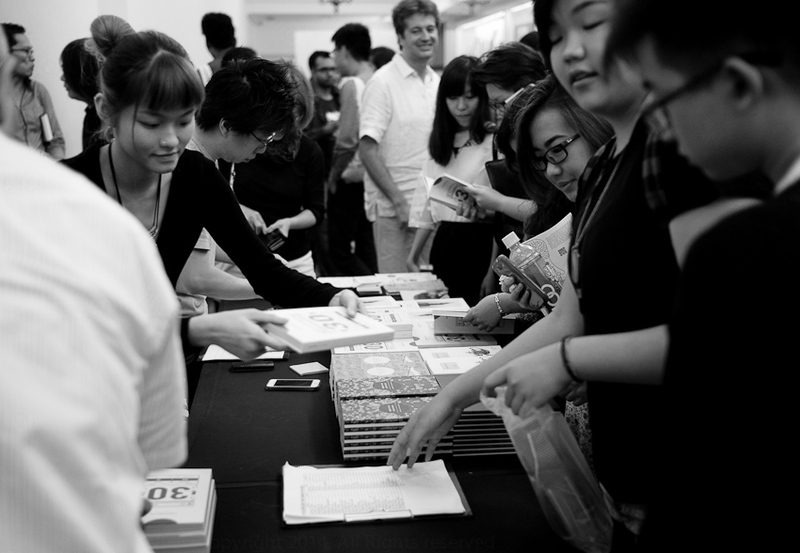 Who knew poetry was so popular in Singapore? 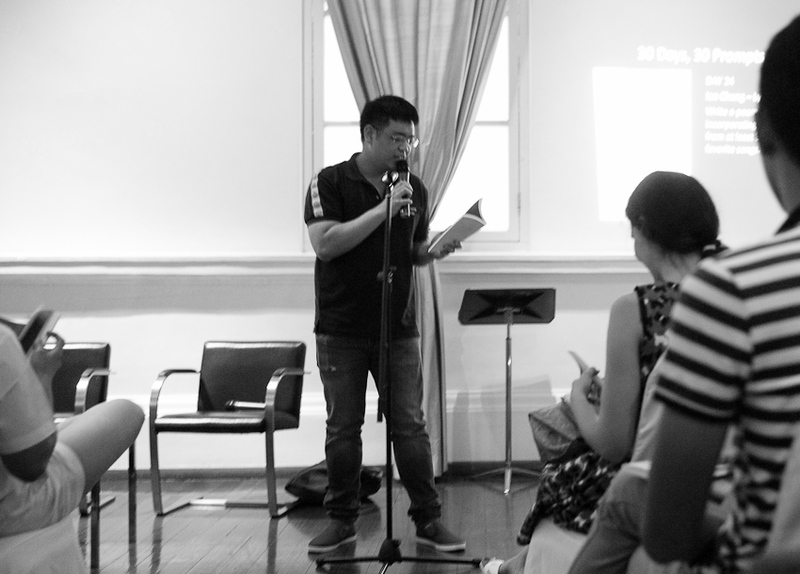 During the Q&A the question was asked, I think by Robert Yeo, why the resurgent interest in poetry in Singapore amongst so many teenagers/young people? What is to account for it? 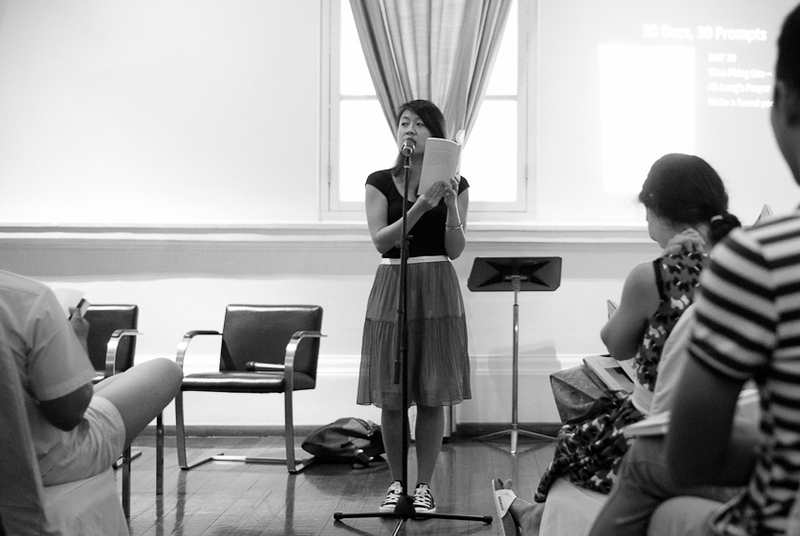 Poetry suits youth: Young people need to express and explore their identity and feelings, to talk about how they feel and see the world. Young people like to be provocative. 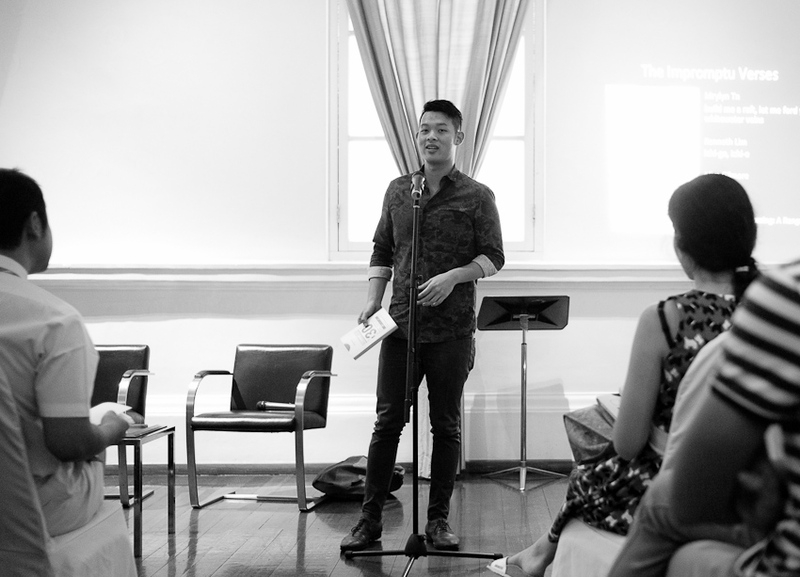 Poetry is the best vehicle to articulate & explore meaning because it's versatile, subjective and covers a 'broad church'. You have a lot of free time for poetry when you’re young that is no longer available when you're older. 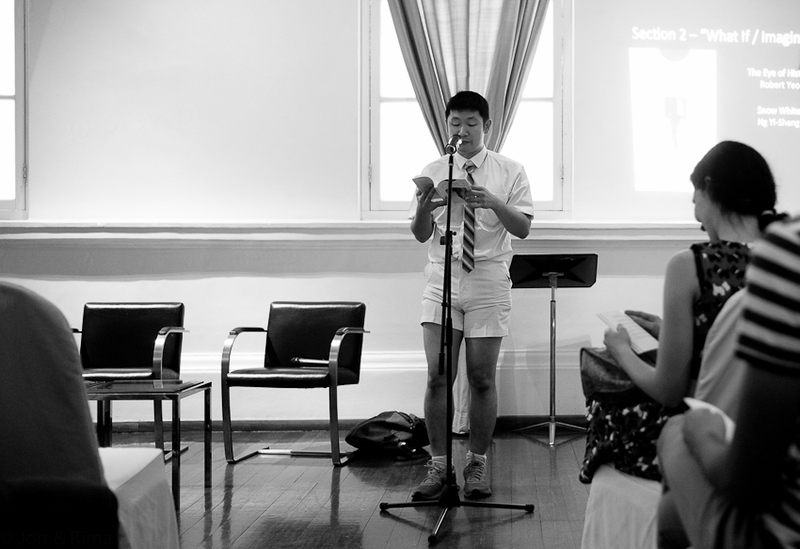 Poetry is a bit like punk. Except you don't need musical instruments. Poetry is easy to write: Did someone actually say “easy”? "Easy" compared to what? I guess, compared to prose, a poem may be 'immediate', 'convenient', 'short'. All you need is a piece of paper and a pen, and it takes less time than writing a novel or a short story or a play. 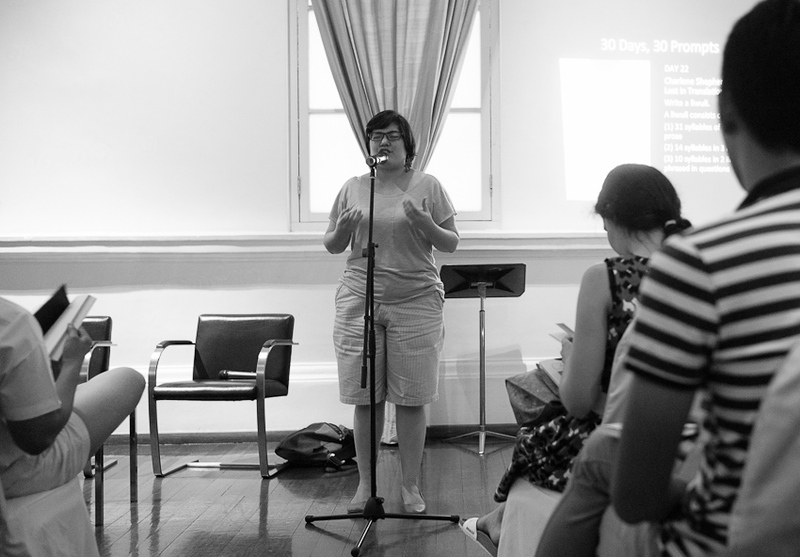 Poetry suits Singapore: Poetry can be oblique and ambiguous. 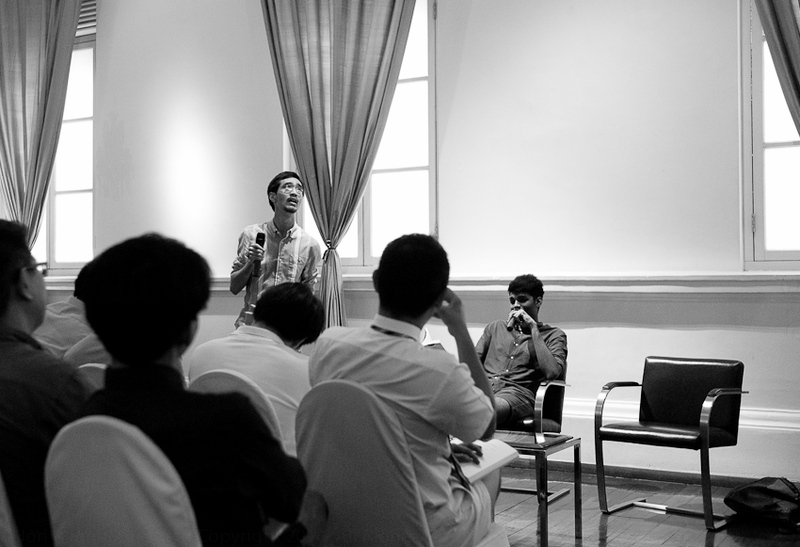 In a highly regulated, hierarchical, sensitive, authoritarian society, Singaporeans appreciate the indirectness of poetry. Did someone say poetry is 'sneaky' ... Or did I mishear? Haha. Poetry suits modern technology: The structure of Facebook was ideally suited for sharing & commenting on SingPoWriMo's daily challenges. Social media helped level the playing field so the text (nearly) always remained the focus. Immediacy worked. ‘Likes’ were encouraging. Nobody was really nasty or personal in their critique - the text was the focus. The corollary of the question is: does poetry fade out of life as the years go by? Probably. To some extent as you grow older priorities change, your focus turns to security rather than exploration, you grow commitments & you have less time and energy for poetry due to your obligations to job, spouse/partner, offspring, aging parents, mortgage etc, etc. Consumerism, class, status, money & growing old kill poetry - if you let them. Prose writers experience this too. Sigh. A review of SingPoWriMo can found here.